Structural damages to your home that are left unattended to can, over time, worsen and lead to very costly repairs as well as a decrease in the overall value of your home and property. Depending upon the amount of structural damage your home has suffered, the cost to repair can vary drastically. 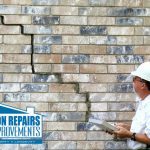 With that said the professionals here at Foundation Repairs & Home Improvement offer our top-rated foundation evaluations and assessment services to determine the extent of your foundation damage and to identify the problems quickly. Further, upon evaluation, we strive to deliver effective and efficient solutions in timelines accommodating to your needs and at prices that are every bit affordable. Having your home evaluated as soon as structural concerns are noted, will help determine potential damage to your home’s foundation and present ideal solutions to the problems at hand. This is where the professionals at Foundation Repairs & Home Improvement come in. We will conduct a free on-site inspection of your home and identify primary indicators that your foundation may be in need of immediate service or repair. 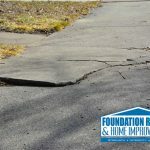 To begin with, cracks that have formed in the concrete of your home’s foundation specifically at the base of the structure are indeed a primary indicator. 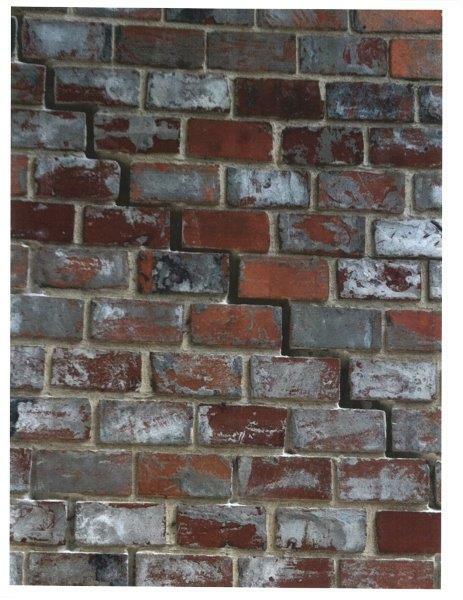 This is by far one of the most obvious signs that your foundation may be in dire need of repair. 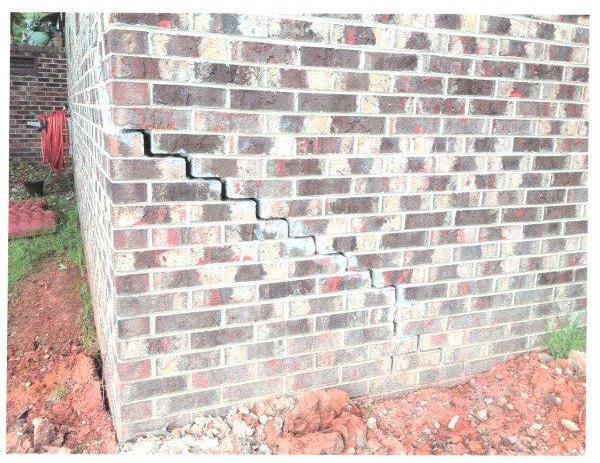 It is important to have these cracks inspected and checked out by a professional who can assess the existing damage and any further damage that may occur over time. The next indicator would be that of either leaks in the roof or other roof damage. Your home’s foundation serves to support the elements and features of your home and is connected to every aspect of your house. When your foundation moves, it causes the roof of your house to move as well. This can lead to shingles separating and roof rafters moving over time. 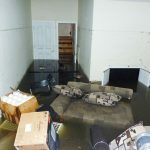 Each of these scenarios can lead to a leaking roof which can ultimately contribute to costly water damage to your home and property. A final and easily noticed indicator of foundation issues is a separation that occurs around the exterior doors of your home. If you have a garage door and it appears to display a dislocation from its original structure, then more than likely it is the result of some level of foundation damage. Be sure to take note of any warped walls, cracked cement or bricks, or any separation of any type between the ground and your garage door. Also, if you notice interior windows or doors presenting with problems such as sticking or cracks forming around the frames of your windows or doors, then no doubt you have a foundation problem. Uneven floors are always a definite indicator of foundation problems as well. 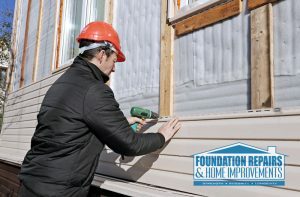 Here at Foundation Repairs & Home Improvement we take tremendous pride in our foundation evaluations and assessments and to providing all our valued clients with the insight needed to recognize, identify and resolve foundation issues. It is critical for homeowners to identify foundation problems and damage as early on as possible. This will help to minimize costs for repairs, and deliver effective solutions quickly and easily. In order to pinpoint foundation problems, we highly suggest you engage in routine inspections of your home and ongoing maintenance on your foundation as well. Your home’s foundation is by far one of the most significant components of your home’s structure which is why you want to avoid compromising its integrity since that could decrease the value of your home dramatically. If your home has fallen victim to foundation problems, or perhaps you are not certain if you have an existing foundation issue, then surely you have come to the right place. Our certified inspector will perform a free on-site inspection of your home and foundation and assess the extent of any existing damage. Further, our inspector will put together a customized plan for your needed foundation repairs. Whether structural damage, leaning chimneys, sunken foundations, or even cracks in interior walls or exterior masonry of your home, we are the team for you. Using only state of the art equipment and a variety of proven industry techniques to design and create your ideal solution, our team stands ready to protect the overall integrity of your home and prevent any future damages from occurring with our foundation evaluations. Take time out not to contact our team and schedule your free consultation. We look forward to serving you and to providing you with our premier foundation evaluation and assessment services. Don’t delay. Contact our team today! !